Strawberries are a power fruit, with great symbolism, flavor, and health benefits. They are second only to lemons. At least for me. Anyway, a lot of people love the sweet satisfaction won by having strawberries at hand. pastryshoescollection.com offers a set of ballet slip-on sneaks with a fruity pattern. The color, bright and inviting, will add a little spark to your step. Found at disconaplondon.wordpress.com, this dress has a jumper feel that makes it fun and flirty, and you could wear it almost anywhere, from picnics to parties to dinner with the parents. 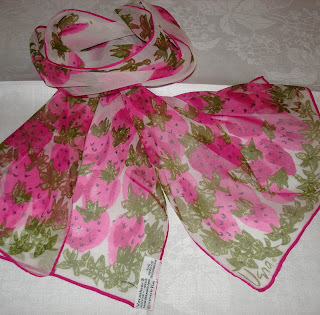 Find this cute strawberry silk scarf at etsy.com. The bright color and fun pattern are lively and unique, just like you! 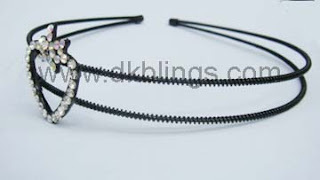 No worries, here is a headband with all the love and beauty of strawberries, but without the flash of red. This can go with more glitzy outfits, and match with other silver jewelry, or dress it down with other strawberry clothes without making either look gaudy. What a fun treat they are. You can even take their love with you to the kitchen. 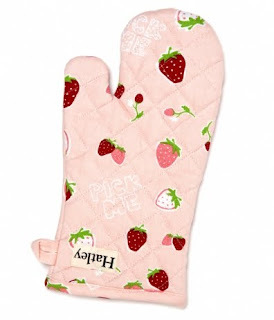 But wouldn't you always want to make strawberry shortcake, cupcakes, or pie? Who cares? Let's do it!